Vive Pro Eye first look: An opening look at the future of virtual reality? The Vive Pro Eye introduces an exciting new innovation to virtual reality in the form of eye tracking. While the standard Vive and Vive Pro headsets are only capable of tracking your head, this revolutionary new gadget can read your pupil movement for added precision and offers an abundance of new features including a new rendering technique. I was able to try out the Vive Pro Eye at CES 2019 to see how this revolutionary technology can be implemented in various games and experiences. But, before I get to my hands-on experience, I need to stress that this isn’t an entirely new headset, but instead a modified version of the Vive Pro. The only significant difference between the Vive Pro and the Vive Pro Eye is the integration of Tobii’s eye tracking tech. The headsets are physical pretty much identical, with the only real difference being that the Eye has two new bright blue circles highlighting the front-facing cameras and a small black dial on its bottom-right corner. Because of the minimal alterations, I will focus solely on the eye tracking on this hands-on. 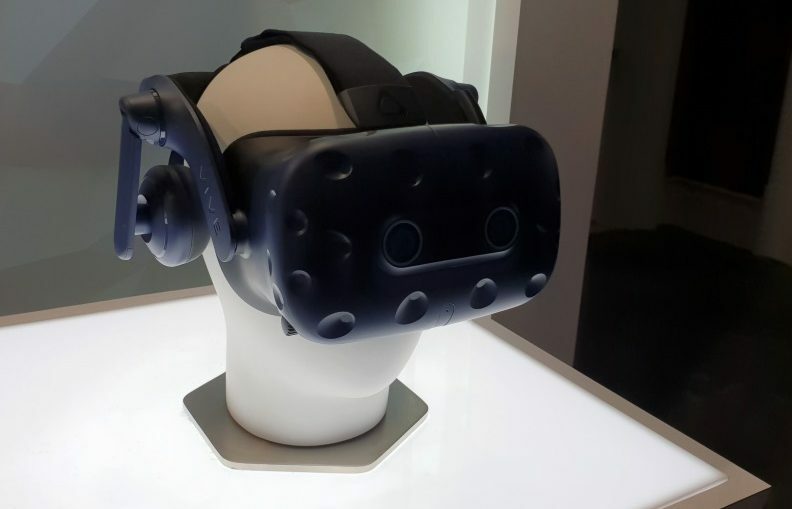 The Vive Pro Eye doesn’t have an official release date yet, but it’s expected to launch in the second quarter of 2019. The Vive Pro Eye does not currently have a confirmed price, but is certain to be more expensive than the standard Vive Pro headset that retails for $799 (headset only). The Vive Pro Eye features a couple of new steps during setup compared to previous HTC headsets. After strapping Eye on, I was prompted to reposition the lens directly over my eyes so the eye-tracking technology was working as efficiently as possible. This is achieved by spinning a little black dial on the bottom-right corner of the device. You’ll know when everything is lined up once a pair of on-screen blue dots fit nicely into two black circles. A new demo will then begin. Here, you’re prompted to keep your gaze fixed to some moving blue dots in order to synchronise your eye movement with the eye tracking technology. The whole setup process takes less than a minute to complete. This is short and simple enough that it doesn’t prove to be frustrating. Plus, you’ll only need to go through the setup process again if somebody else uses the headset. Vive had a number of booths set up for the Vive Pro Eye, with each one demonstrating a different feature eye tracking brings to the table. One demo showed how a player could use the technology to move the eyes of their avatar. This sounds pretty insignificant, but it certainly adds a new level of immersion and realism to social applications and meeting rooms. 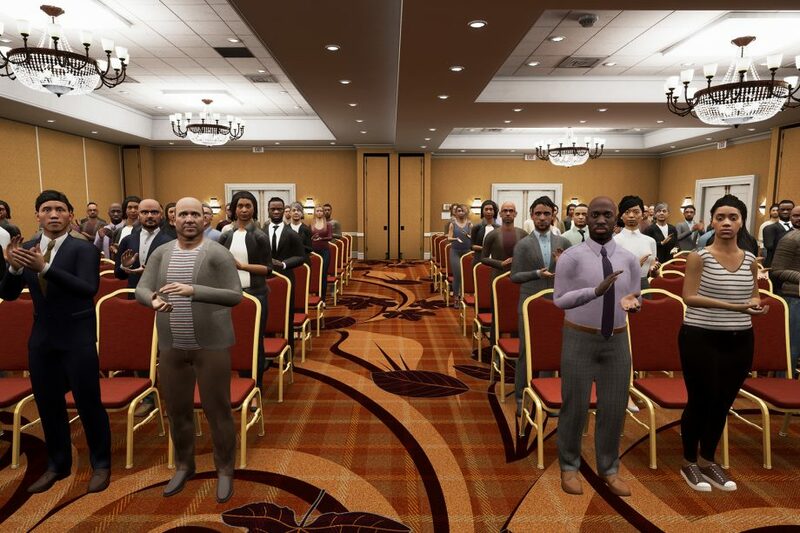 A second demo showed how eye tracking helped to improve a VR Public Speaking Trainer app, allowing it to track exactly where the user was looking. At the end of the experience, I was shown a heat map of where my gaze had lingered and received a score to reflect how well I had engaged the audience. Interestingly, avatars would react when I focused on them, either looking away sheepishly or nodding in agreement. Imagine such a feature being implemented in a game like Skyrim, where a guard could become confrontational if they caught you staring for too long. The third application was a BMW M Virtual Experience by developers ZeroLight, where I could ogle and customise a high performance car in VR. Rather than having to aim my controller at the various customisation options, I simply had to look and squeeze the controller’s trigger to make my selection. Again, I can see this feature being implemented in many games and apps in the future, making UI navigation easier and speedier. The ZeroLight experience also demonstrated how foveated rendering can significantly boost the visual quality of an application. What is ‘foveated rendering’ you ask? This technique concentrates the computer’s GPU power on the area where the player is focusing in order to produce a sharper image. While this does mean the rest of the image on display suffers a drop in quality, you’re unlikely to notice this as you’ll only be able to view it via your peripheral vision. The result of foveated rendering was most noticeable when reading text, which is a major boon since the standard Vive Pro has previously struggled to display small text clearly enough to be easily readable. Such is the visual boost here, that I’m of the opinion that foveated rendering is by far the best incentive for people to upgrade to the Vive Pro Eye. Vive Pro Eyes – What about video games? Surprisingly, there was a lack of games on offer at the Vive Pro Eye demo. This is a concern for me, considering most prospective buyers will likely want the VR headset primarily for gaming. This begs the question whether game developers are having a hard time making use of the technology. 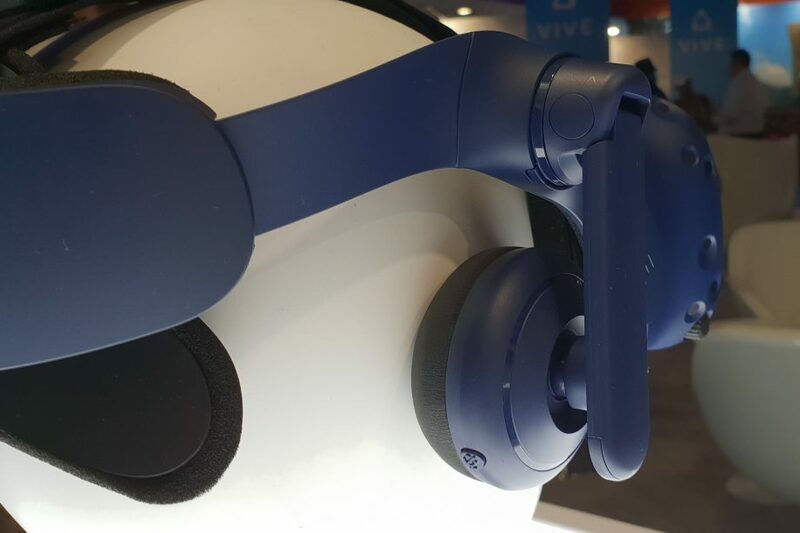 That said, it is still early days for the headset with the Vive Pro Eye only just being revealed at CES 2019 with no concrete release date. The only Vive game that I did get the chance to play with eye tracking was Gunheart. This shooter title is already available for the standard Vive, and so evidently wasn’t designed with eye tracking in mind. That was obvious from the demo too, as eye tracking wasn’t a core mechanic, but instead an optional method of targeting enemies when activating the homing missile upgrade. The eye tracking feature feels a little underwhelming in the shooter title Gunheart. Unfortunately, I didn’t find the eye tracking to be very accurate in Gunheart. Attempting to lock onto the enemy with my eyes was a damn struggle and it didn’t exactly feel intuitive either. 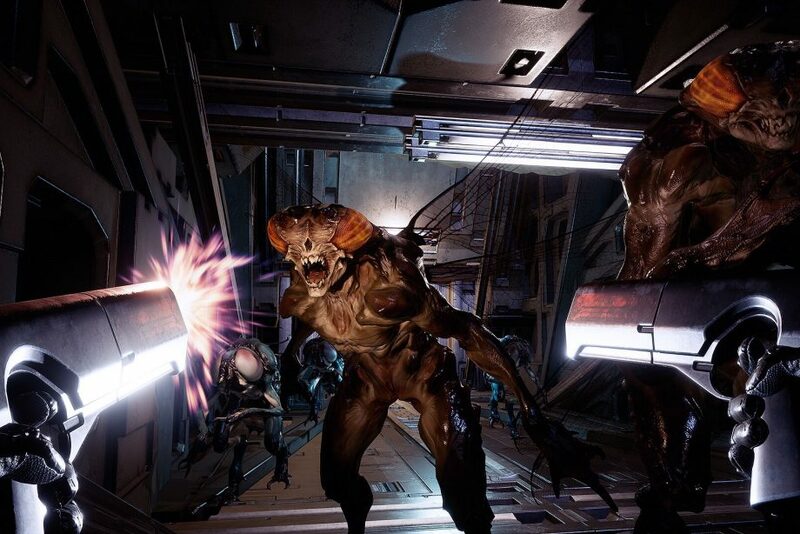 Given the choice, I’d much rather use the controllers to aim in a shooter. Then again, since I was using a prototype headset for this demonstration, the final version of the Vive Pro Eye may have far more accurate sensors. ]I was forced to skip the calibration setup for the demo given the limited time I had available, which could have had a significant impact on the performance. All things considered, I’m still concerned by the lack of games to confirm support for the Vive Pro Eye and can’t see the situation getting any better in the short term. It doesn’t make much financial sense for a game developer to build their title around a technology that is only supported by one incredibly expensive VR headset. Coupled with the headset’s likely extortionate price, it seems unlikely that the Vive Pro Eye will have a significant focus on gaming and will instead probably be more focused on enterprise consumers. Vive has plenty of time to prove me wrong. The Vive Pro Eye’s eye tracking capabilities are incredibly impressive – particularly foveated rendering – with developers so far only skimming the surface of the technology’s immense potential. 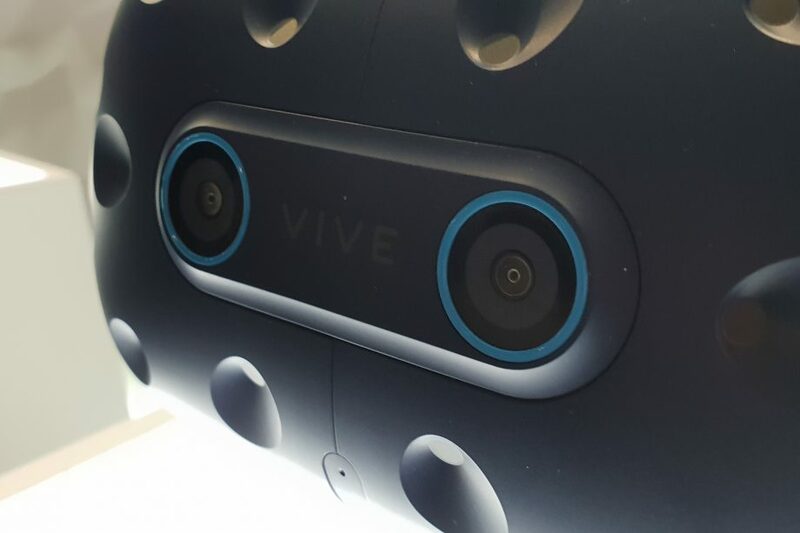 That said, I can’t shake concerns that HTC will struggle to attract developers to supply the Vive Pro Eye with enough applications to make the inevitably expensive headset a worthy upgrade. But while Vive has a lot to prove between now and launch for the Vive Pro Eye to be a commercial hit, I’ve no doubt that Tobii’s eye tracking technology offers an exciting sneak peek into the future for virtual reality.